This morning my heart is heavy. I went to bed thinking about it and woke up even more upset with not another answer. Yesterday I travelled to Bulk Barn to buy candy for my secret cupid. I went along with my friend Derek, however we were running late to catch the bus back and he needed to go to Sobeys first. I told him to go ahead and I would meet him in Sobeys. 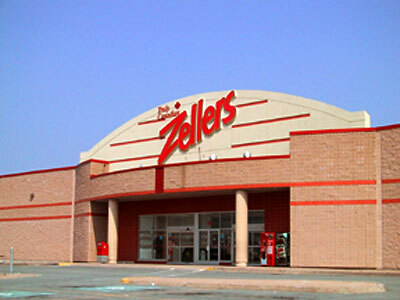 While walking alone across the parking lot in Bridgeport plaza in front of Zellers I saw a homeless man sitting on one of the ash trays asking for 20 cents. That's the first thing that struck me- 20 cents- what could this man do with twenty cents? He asked the two men that walked before me. I know never to walk alone and it was across the plaza, but I still felt very uncomfortable. I pulled my coat tighter and walked a little faster. I wear my emotions on my sleeve and this man knew I felt very uncomfortable and awkward. In respect to me he didn't even ask me for money but walked farther away from my path to give me more space. I was astonished. 2 things has not left my mind since. 1. that as girls we still can not be "safe" walking by ourselves. This upsets me because in the 21st century girls are still seen as something men can control. Men still feel that they have power over us to take us or physically hurt us. I still didn't feel comfortable walking by a man alone at 6:30pm which frustrates me about our culture. 2. This was a man. A man loved by the Lord and it was - 22 out. The Lord deeply cared for him and can't stop thinking about his love for this man no matter what his background is. When I met Derek and told him about the man catching the bus and hurrying didn't seem so important. It seemed almost selfish for us to complain about waiting in -22 for an extra half hour when this man was there all day. It didn't take long until Derek and I bought this man a coffee and gave him five dollars missing our bus and waiting in the cold a little longer. This man was overjoyed by our generosity and thanked us more than a few times. I wondered where he slept last night. I haven't stopped thinking about and praying for this man. I really feel called to street ministry and just talking and loving on the Lord's people however I can't help to be frustrated that I can't do this alone but need a male along.